Posted on 5, December 2018 by EuropaWire PR Editors | This entry was posted in Construction, Environment, Investment, Poland, Sweden and tagged Brama Miasta, building, construction, development, investment, LEED, Lodz, office, office development, Poland, Skanska. Bookmark the permalink. 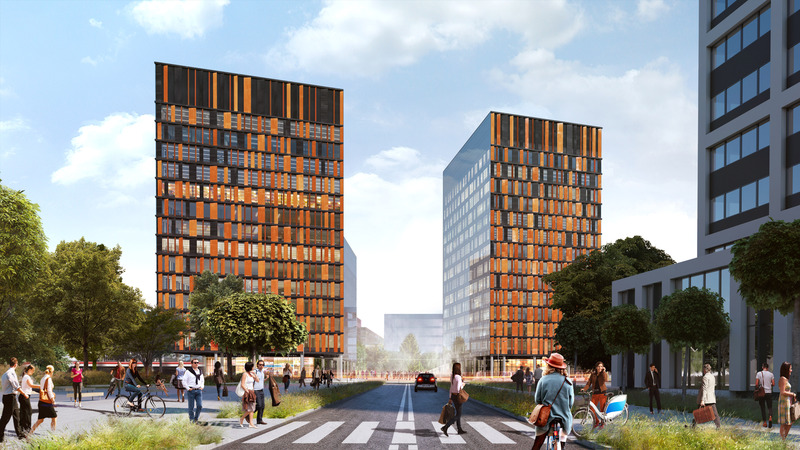 STOCKHOLM, 05-Dec-2018 — /EuropaWire/ — Skanska has invested EUR 24 M, about SEK 250 M, in the second phase of Brama Miasta, an office development in Łódź, Poland. The second phase with a total leasable area of around 13,600 square meters will consist of one building 15 stories high.